Ellen Gable is an award-winning, Amazon best-selling author of eight books including "Stealing Jenny," a contemporary thriller about a pregnant woman who is kidnapped, "In Name Only," (Gold Medal, 2010 IPPY Awards) and "A Subtle Grace,"(finalist, 2015 IAN awards). She is a contributor to numerous other books. 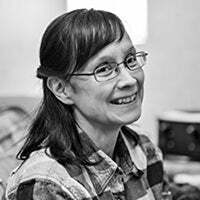 Ellen blogs at "Plot Line & Sinker" http://ellengable.wordpress.com and is also self-publishing book consultant, editor, NFP teacher, Marriage Preparation instructor, and Theology of the Body teacher. Her new book is "Julia's Gifts," the first in a series of three WW 1 novels. She and her husband, James Hrkach, are the parents of five adult sons ages 19 to 31 and live in Pakenham, Ontario. In her spare time, Ellen enjoys playing trivia games, genealogy, watching classic movies and reading on her Kindle.